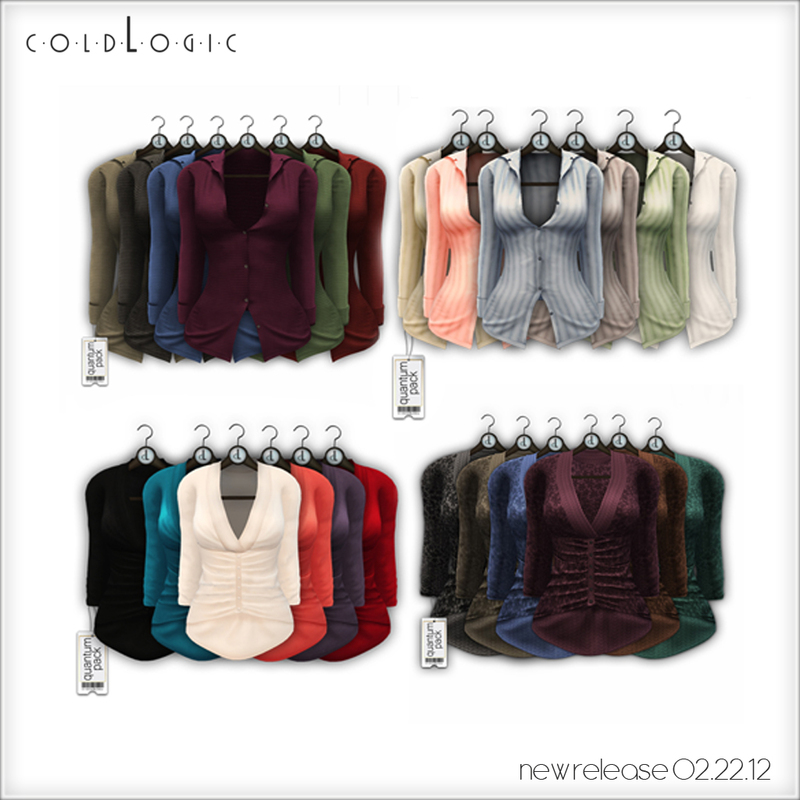 Everybody loves to create their own look and that is what today’s release at coldLogic is about. We’ve added a bunch of new tops to the store along with this fabulous pair of trousers. We love the way they fit and feel confident that you will too! 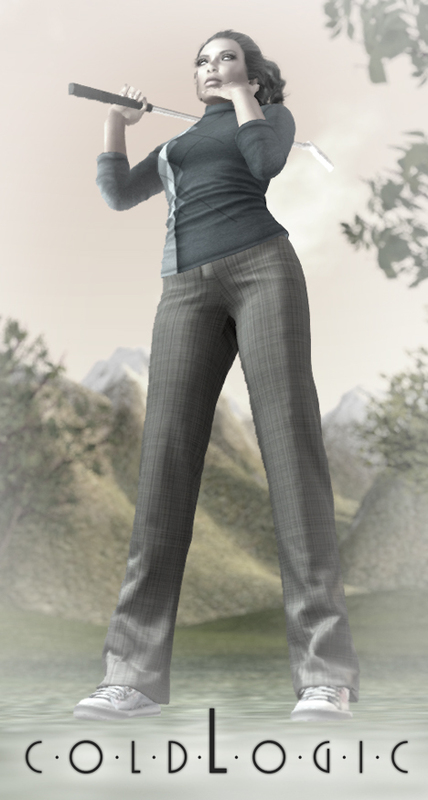 The pants can be found in 2 variations, 6 colors each. 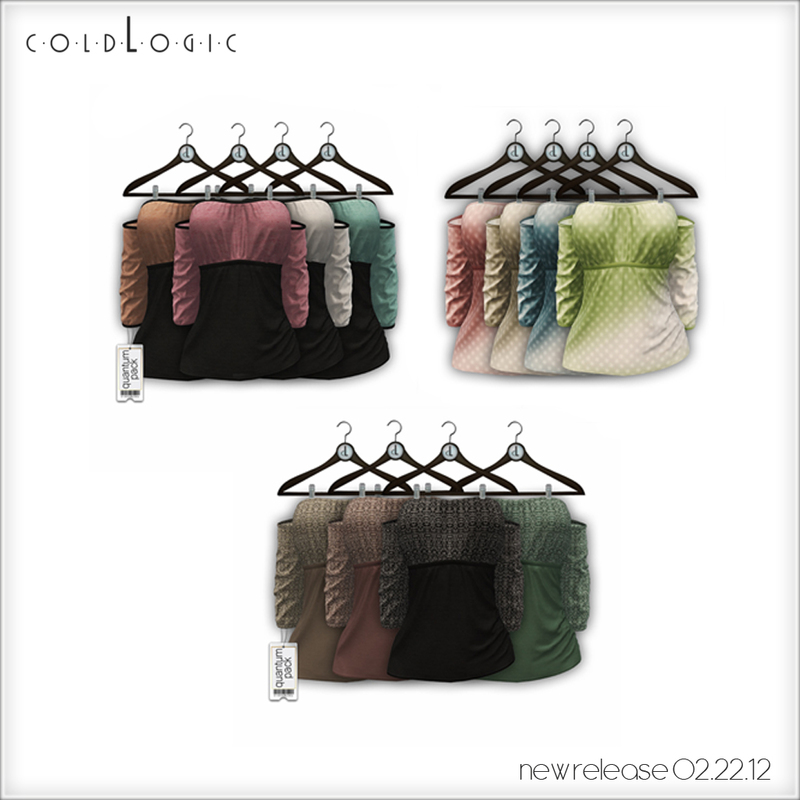 The three new tops are also available in multiple textures and colors. Choose your favorites or pick up the quantum packs. These new items along with demos are available in world and on marketplace! 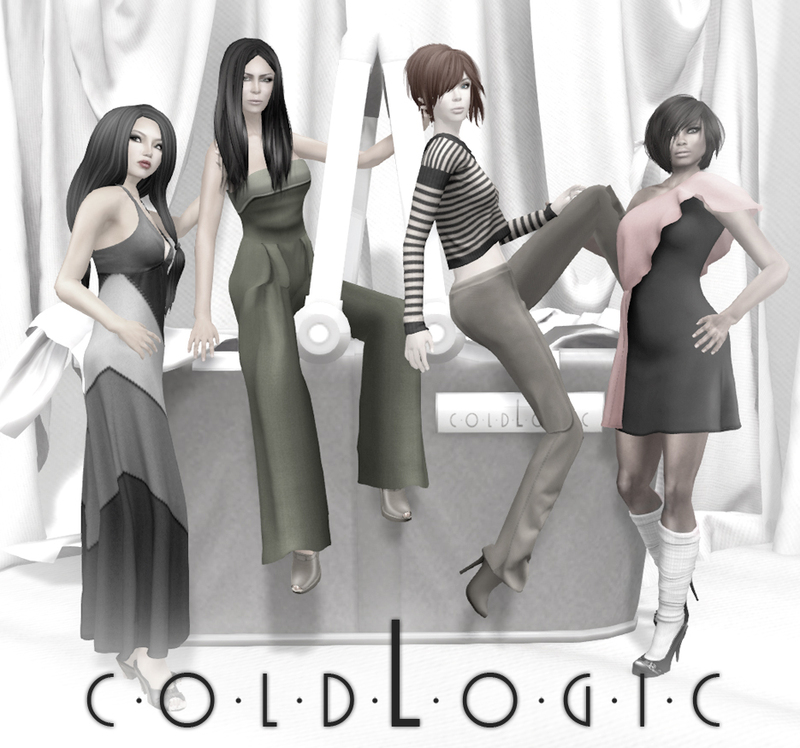 We were so overwhelmed by the warm reception we received on the grand opening of coldLogic that we just had to take a little time out of our week to send you some Valentine’s love in return. We can’t thank everyone enough! 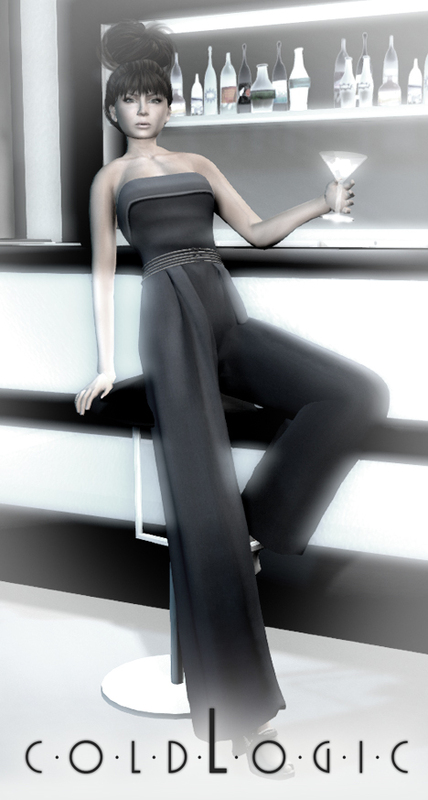 Today we’ve dropped this little date-night dress into the subscrib-o-matic and sent it out free to all group members. If you’re not a group member, don’t fret, all you have to do is head over to coldLogic and join by touching the chalkboard. Once you’ve joined, just touch the chalkboard again and pull up past notices. It’ll be waiting for you there. Also, you might notice something new inside the package. A ‘fade to black stocking’ on the tattoo layer. We’ve included some information with the dress but in case you didn’t see it and you’re curious, read about it here. Yes, it’s true! We’re officially open!! Come visit us in-world or on the Marketplace! Thank you so much for all of your beautiful photos of our Free Winter dress. It was difficult to choose a winner! We had such a hard time, that we decided to pick two honorable mentions as well! Congrats go out to Dolly Baroque, who won our grand prize: our full opening collection! Honorable mentions go out to Sisch Firecaster and Gabby Panacek! You both win a quantum pack of your choice from our collection! We will be in contact with the winners later today with your prizes! Additionally, we’d like to announce that our Demos are up on the Marketplace! Please visit the link and try it all out before our shop opens tomorrow.